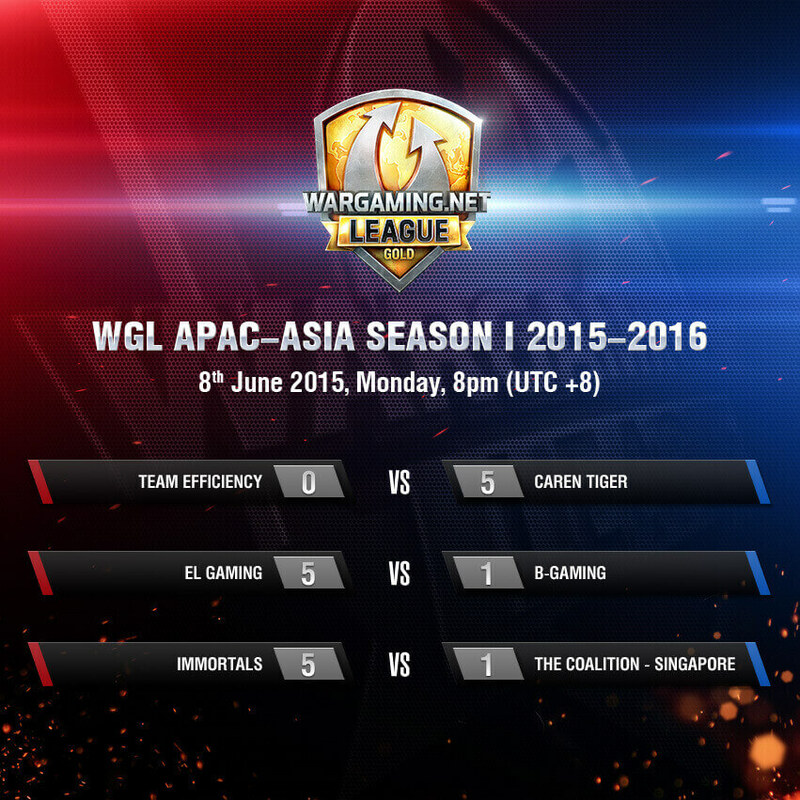 As the scoreboard implies, Caren Tiger, EL Gaming and Immortals dominated this set of matches with ease. Japanese team Caren Tiger in particular showed extremely strong play, shutting down Team Efficiency match after match, and at one point even maintaining a 2800 HP advantage over their opponents. The Coalition – Singapore and the Immortals started off perhaps a bit more evenly matched, with TCSG managing to win the second round of the battle, but that didn’t last too long. Timing and positioning just weren’t on their side, especially in their last round on Himmelsdorf, where TCSG’s 50-50 split strategy ended in favour of the Immortals instead. Day 2 this week went much better for Team Efficiency. Despite taking a lot of damage and facing considerable pressure from RUN, they gave an impressively solid performance and finished the match on Lakeville with a 5-0 clean sweep. Horsemen v Caren Tiger, on the other hand, was the big nail-biter of the night. Great plays were made on both sides, and it was a close fight till the end. Caren Tiger however were able to adapt more quickly to Horsemen’s capture tactics and soon got the better of them, ending the final round with a full roster. EL Gaming v TCSG would have been an interesting match-up, but as the former were late in reporting for their match, they were unfortunately disqualified.